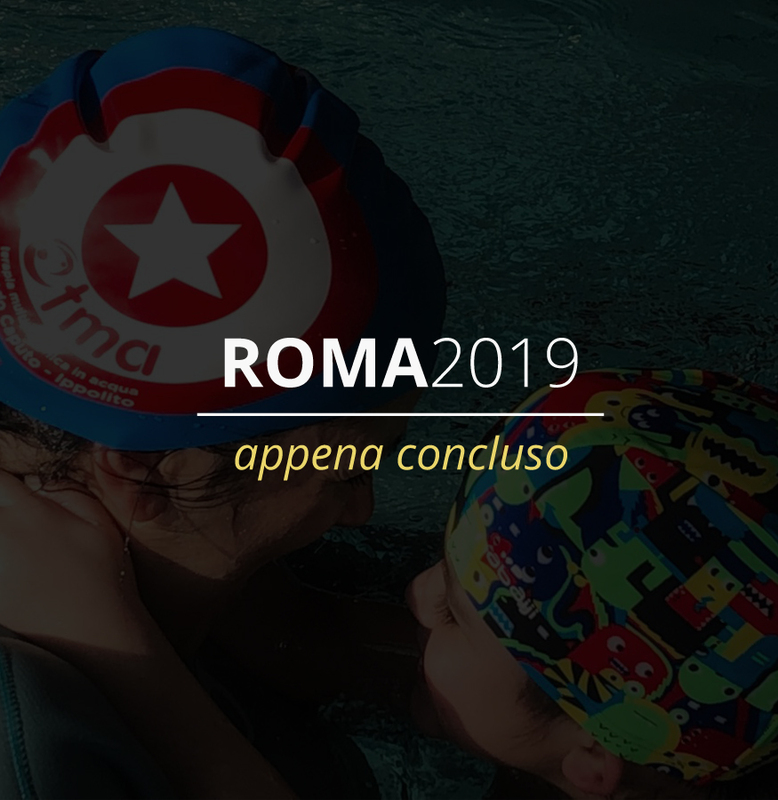 The main aim of the course is to promote and create professional teams working in swimming pools throughout Italy who follow the TMA Caputo Ippolito Method with theoretical-practical competences in autism and its treatment. 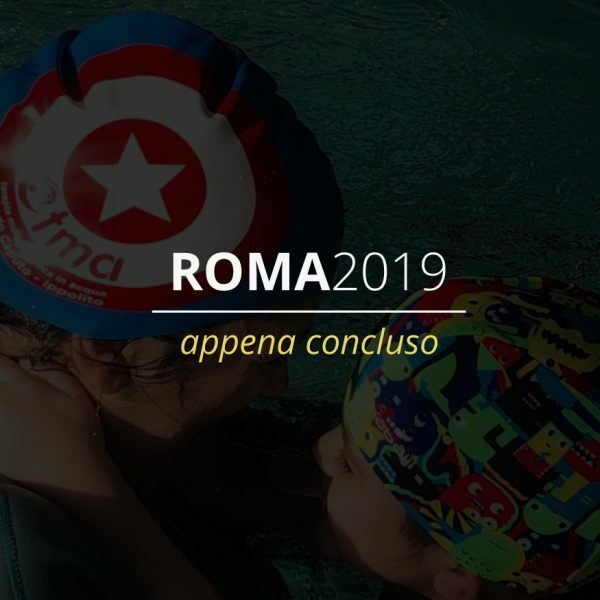 TMA is a therapy that uses water as an emotional, sensory, motor activator, capable of pushing a person affected by communication and autism disorders towards meaningful relationships, allowing contact with children with social difficulties in a playful environment, such as the one of public swimming pools. A new method of intervention (TMA Caputo Ippolito method) will be presented to all participants. This method uses specific tools to activate the emotional and relational skills compromised in those affected by autism and general growing disorders. 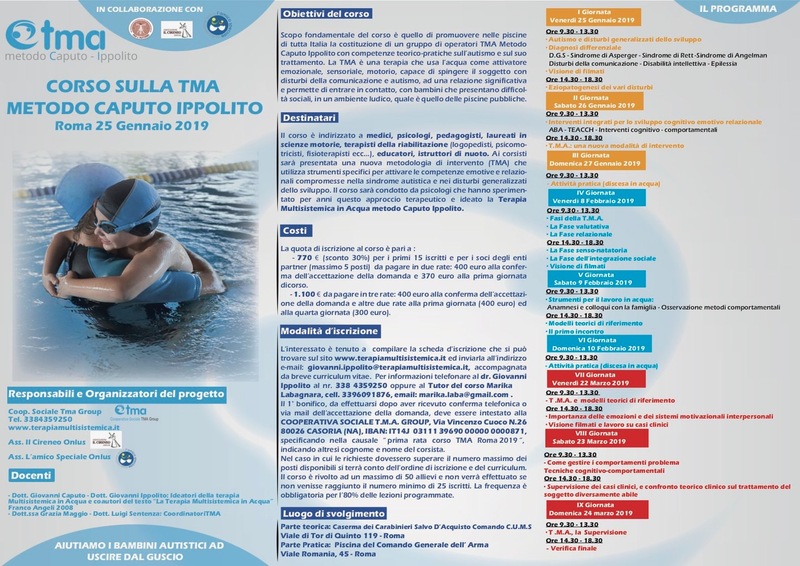 The course will be held by psychologists who for years have been experimenting this therapeutic approach thereby conceiving the Multisystemic Therapy in Water, Caputo Ippolito Method. – €770 (30% discount) for the first 15 applicants and for the members of partner organizations (maximum 5 people) to be paid in two instalments: €400 to be paid on the acceptance of the application and €370 on the first day of the course. – €1,100 to be paid in three instalments: €400 be paid on the acceptance of the application and the two other instalments to be paid on the first day (€400) and on the fourth day €300. You should download and fill in the form on the website www.terapiamultisistemica.it and then e-mail it to: giovannippolito@libero.it, together with a brief CV. Should you need further information, please contact Mr. Giovanni Ippolito (+0039- 338 4359250). After receiving the confirmation of your correct subscription (by telephone or mail) you should pay by bank transfer to Cooperativa Sociale T.M.A. Group, Via Vincenzo Cuoco N.26 80026 CASORIA- bank account NAJ, IBAN IT14J 0311139690000000000871, specifying in the reason “Course TMA”, indicating the full name of the participant. If requests exceed the maximum number of places available, we will take into consideration the date of application and the Cvs. The course is aimed at a maximum of 60 participants and will not be held if the minimum number of 25 is not reached. Attendance is mandatory for 80% of the programmed lessons. 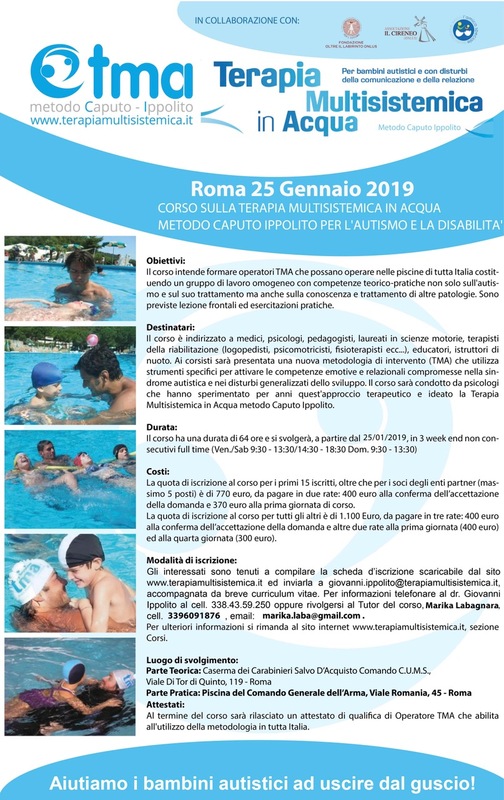 Those who participate and attend profitably the training course on Multi Systemic Therapy in Water, will receive a certification attesting his/her knowledge and ability in using our method of intervention with children and young people with disabilities. To ensure the correct application of this method, each operator will be periodically supervised by our staff. Compila il modulo seguente per essere contattato e ricevere maggiori informazioni sul corso che si terrà a Roma.